The Jeep Wrangler is a rugged, versatile off-road SUV that doesn’t compromise style or safety. It’s Jeep’s most iconic model, offering durability and reliability with the most up to date technology. Both the 2018 and 2019 models offer upgraded exteriors and interiors with onboard touchscreen systems, enhanced windshield and roofing options, and leather-trimmed seats. Both models also come equipped with the latest safety technology and both offer superior maneuverability, high ground clearance to overcome obstacles, and high air intake systems for water fording. 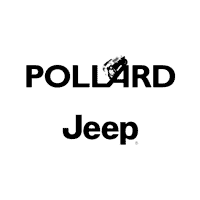 There are some important upgrades to the 2019 Jeep Wrangler vs 2018 Jeep Wrangle, and Pollard Jeep is your Denver area dealership to experience the powerful new features. We’re serving Denver Boulder Longmont Thornton with the best deals and financing options. The 2019 Jeep Wrangler has a number of upgrades to its exterior. The upgraded fold-down windshield requires only four bolts to fold it up or down, an improvement over the 2018 model which required more than twenty. The 2019 model offers the new Sky One-Touch Power Top, which will fully open or close the roof in twenty seconds at the touch of a button, giving you the best possible view of the outdoors. Both models have options for soft, hard, or no-top roofing, and the 2019 model has removable doors so you can enjoy even more of the open air. It’s also outfitted with sleek or rugged fenders that can accommodate tires up to 35 inches. The 2018 model features premium LED lighting, and the 2019 model takes it even further. You’ll find LED reflector headlamps, fog lamps, and daytime running lamps along with tail lamps for a fully-illuminated drive anywhere you go, day or night. Both Jeep Wrangler models offer upgraded interiors with leather-trimmed seats and an onboard UConnect touchscreen system. The 2019 Wrangler is equipped with SiriusXM Guardian with navigation features, security alerts, and greater remote access. Roadside assistance call is also available. 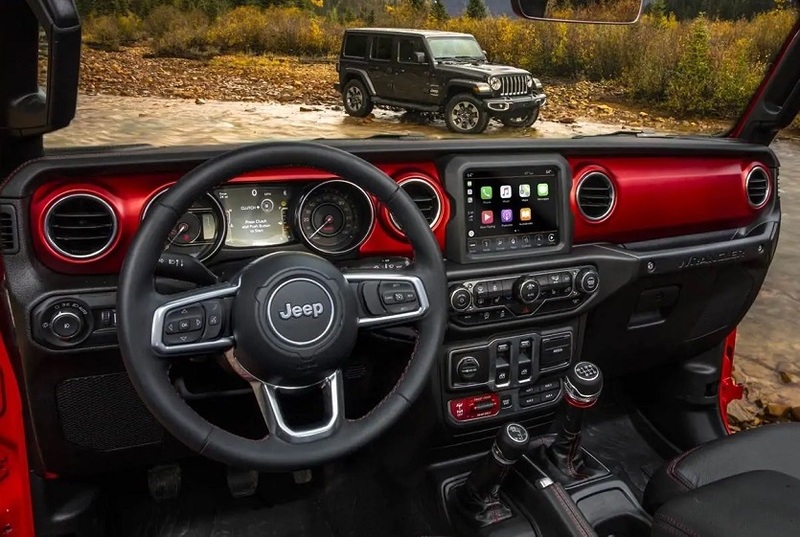 At 8.4 inches, the 2019 model has a larger touchscreen than the 2018 model, and the 2019 UConnect system can be used to turn your Jeep into a 4G WiFi hotspot. You’ll also find better seating capacity on the 2019 model, which easily seats up to five people, and the included rear dome lamp provides an extra layer of interior lighting. The 2019 model has premium armrests and two-way lumbar support in every seat for the most comfortable ride. For the best sound, the 2019 Wrangler has an updated premium audio system with 9 speakers and a back subwoofer. It’s also built with noise cancellation technology and acoustic windshield glass. All these upgraded features promise a quiet, comfortable ride. Like the 2018 Jeep Wrangler, the 2019 model is equipped with a four-by-four traction system for improved performance in even rough terrains. It also has a Selec-Trac system that will automatically switch from two-wheel drive to four-wheel drive while analyzing the terrain to send torque to the wheels that need it the most. And with up to 23 miles per gallon, the 2019 model has improved fuel efficiency as well as a 180-amp alternator and optional anti-spin rear axle. The steel bumpers and 33-inch off-road tires with front and rear Tru-Lock make the 2019 Wrangler powerful and durable enough for any conditions on any terrain. The 2019 model is also built with enhanced payload capacity at 1,000 pounds and up to 3,500 pounds of towing capacity on its front or rear tow hooks. The 2018 Jeep Wrangler offers the most up-to-date safety technology, with blind spot monitoring, rear cross path detection, a rear backup camera, and a rear park assist system. The 2019 model builds on these features, offering added forward collision warning with active braking, adaptive cruise control, and sonar sensors for advanced parking assistance. It’s also equipped with front and side airbags and high-strength steel beams for side impact protection. The 2019 model is built for durability and passenger safety, and its on-board technology puts awareness on your side. There’s also an enhanced suite of security features, include a keyless passive entry system that automatically unlocks the door and swings the gate, making it easier than ever to quickly and safely enter your car. There’s also a tire pressure monitoring system that will alert you to low pressure, and the Wrangler is equipped with a full-size spare. With so many new and upgraded features you’ll want to see the 2019 Jeep Wrangler up close at Pollard Jeep, your Denver area Jeep dealership. We’ve been serving Denver Boulder Longmont Thornton for over 45 years. Stop by today to arrange a test drive and compare the 2019 Jeep Wrangler vs 2018 Jeep Wrangle up close and find out why the 2019 Jeep Wrangler is MotorTrend’s SUV of the year in our low-pressure environment. Ask about our available specials and find out why we’re the preferred Denver area Jeep dealership.